Tokyo - November 1, 2017 - Sony Corporation (Sony) is today proud to announce "aibo," the evolution of its autonomous entertainment robot that brings fun and joy to the entire family. aibo can form an emotional bond with members of the household while providing them with love, affection, and the joy of nurturing and raising a companion. It possesses a natural curiosity, and we hope it will bring joy into the everyday lives of our customers while growing alongside them as a partner. As the latest iteration of the beloved robotic companion, aibo features an adorable appearance, vibrant movements, and a responsiveness that is sure to delight. It will also develop its own unique personality through everyday interactions as it grows closer and closer to its owners. In order to bring aibo to life and allow it to express its emotions, Sony developed ultracompact 1- and 2-axis actuators. These give aibo's compact body the freedom to move along a total of 22 axes and make its smooth, natural movements possible. Furthermore, its eyes utilize two OLEDs to allow for diverse, nuanced expressions. Not content with merely waiting around to be called, curious little aibo will actively seek out its owners. What's more, aibo can detect words of praise, smiles, head and back scratches, petting, and more, allowing it to learn and remember what actions make its owners happy. Slowly but surely, aibo will also become more aware of its environment, and as it gains confidence it will learn to walk around an increasingly wider area and respond to situations accordingly. This adaptable behavior is made possible through Sony's well-cultivated deep learning technology, in the form of inbuilt sensors that can detect and analyze sounds and images. aibo also comes with fish-eye cameras that utilize simultaneous location and mapping (SLAM) technology, allowing it to lead its life in close conjunction with its owners. As it interacts with people over time, aibo's behavior slowly changes and adapts in response to its unique environment. It eventually becomes able to respond to its owners' affection in kind, and when it feels loved, it will display even more love and affection in return, nurturing a bond that only deepens as time goes on. These perpetual changes are brought about through Sony's unique AI technology, which allows aibo to interface with the cloud. aibo's AI learns from interactions with its owners and develops a unique personality over time. Further, with its owners' permission, aibo can collect data from these interactions, then connect to the cloud and access the knowledge accumulated from interactions between different owners and their aibo to become even more clever. We at Sony hope that our customers will develop precious and deeply personal bonds with their aibo and create cherished stories that will last a lifetime. "My aibo" is an app designed to help owners enjoy life with their aibo by providing support and convenience. In addition to accessing system settings and owner information, other features include "aibo Photos," which lets users view any pictures taken, a feature to "Play" with a virtual aibo inside the app, and the "aibo Store," where users can add additional Tricks to their aibo. Some of these features are also accessible to users who do not own an aibo. *2:aibo and "aibo basic plan" subscription required to fully enjoy all features of "My aibo." An aibo Basic Plan subscription is necessary to utilize aibo. By subscribing to the aibo Basic Plan, you can use a Wi-Fi connection at home or a mobile connection on the go to enjoy the full arrange of aibo features. These include aibo being able to access information stored in the cloud to grow and learn as well as the "My aibo" app (aibo Photos, aibo Store). Additionally, your aibo's data will periodically be backed up in the cloud. A planned future service will allow owners to restore this backed up data onto a new aibo even in the event of an accident resulting in irreparable damage. 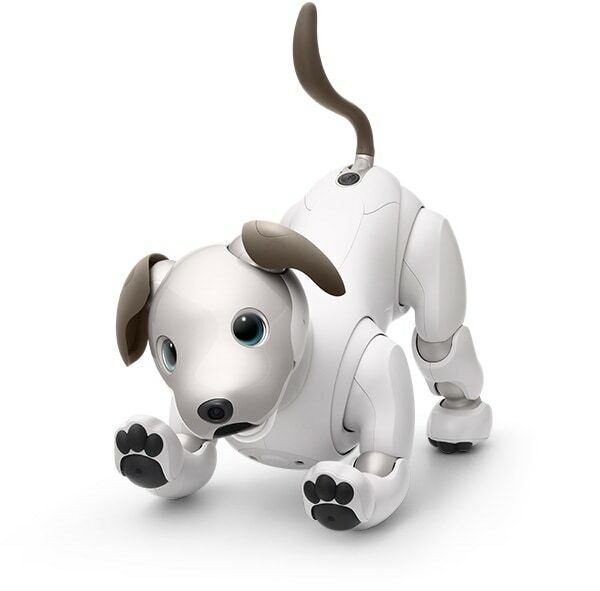 aibo will be available for purchase exclusively through the Sony Store, Sony's direct retailer. Pre-orders will be available starting from 11:01 P.M. on Wednesday, November 1, 2017 through the Sony Store website (Some parts of website only accessible in Japanese, pre-order numbers are limited). More information about aibo will be made available through http://aibo.com/en and Sony Store Online. *As of the time of this release, product launch is only scheduled for Japan. Note:Information is current as of the day of the announcement. Please note that product and service details are subject to change without notice. Please visit the product website http://aibo.com/en for more details. *1:"aibo" and " " are trademarks of Sony Corporation. *2:All other listed companies and product names are the trademarks or registered trademarks of their respective companies.